This video may be the cutest thing you’ll see all day. 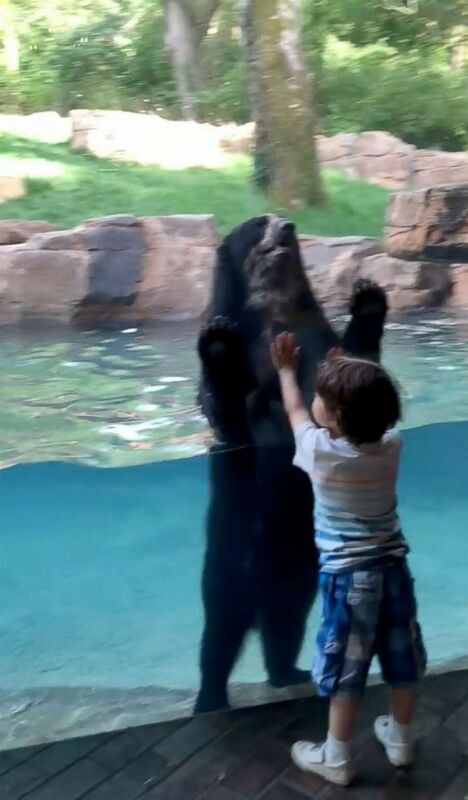 Curious bear and 5-year-old boy jump together at the Nashville Zoo. Five-year-old Ian goes to the Nashville Zoo often with his dad, Patrick Parker. 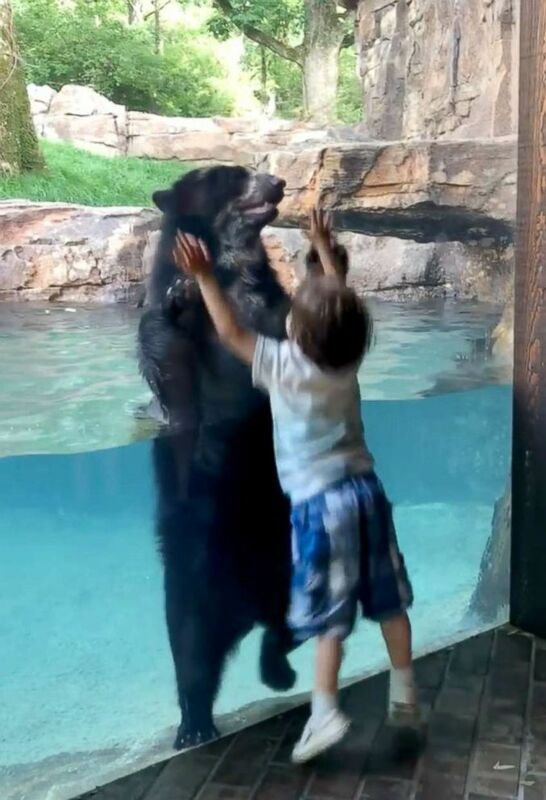 While visiting the bear exhibit, Ian started jumping in front of the glass separating him from an Andean bear when it jumped into the water. Incredibly enough, the “copycat” bear made his way over to the glass and started jumping along with Ian. Glad to see these two are enjoying the “bear” necessities!